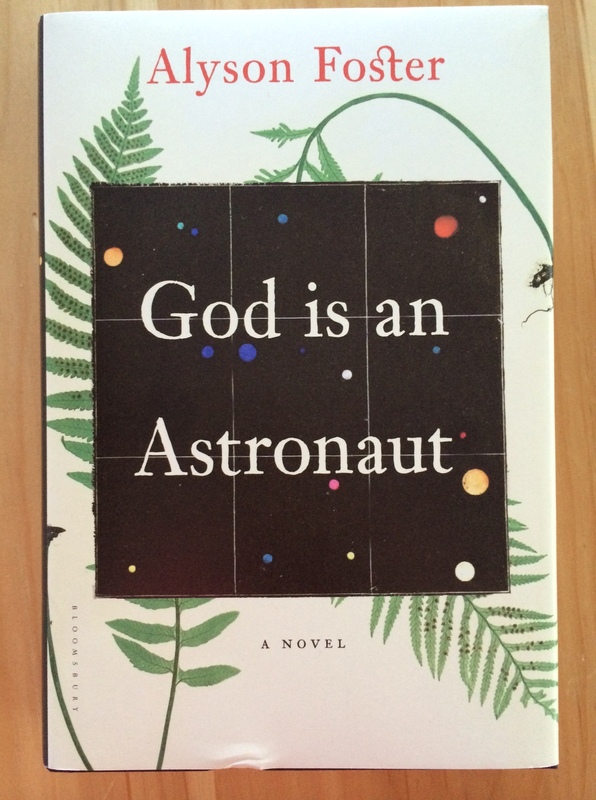 Alyson Foster’s debut novel God Is an Astronaut* considers questions of personal and public ethics as its protagonist, Jess, sorts out the reverberations from several shocking events. Jess is a professor of botany, and her husband, Liam, is an engineer and part of the leadership of a space tourism company; they live quietly with their two children in Michigan. When one of the company’s shuttles explodes just after takeoff, Liam and Jess’s lives are upended as the investigation into the cause of the crash begins. We see events only from Jess’s perspective, because God Is an Astronaut is an epistolary novel, composed entirely of emails from Jess to her colleague and friend, Arthur (we never see Arthur’s replies — just his subject lines when Jess keeps an “re:” thread going). As Jess explains what life is like with constant media scrutiny, staged press conferences, and even a documentary crew underfoot, Ms. Foster gradually reveals the unraveling seams of Jess’s marriage, and the ways that she’s tied to Arthur. The epistolary form creates both intimate and distancing effects. Because Jess (apparently unafraid of the NSA) shares with Arthur not only Liam’s company’s secrets, but also her own struggles and desires, and the mundane workings of ordinary life, the reader is drawn close, a feeling compounded by the voyeuristic pleasures of reading someone else’s mail. On the other hand, Jess’s emails are both lengthy and extremely detailed, and it strains credulity that a busy working parent with a surly husband and a publicity crisis would have time to write such lyrical missives. This, combined with the effort required to imagine Arthur’s words from Jess’s replies, pushes the reader an arm’s length away from the material. Nevertheless, the novel’s lyrical meditations on our responsibilities in the world — to our spouses, children, family, friends, colleagues, customers, the earth itself — are quite lovely. If you’re in the mood for an extended character study, or you’d like to feel better about not being able to afford a Virgin Galactic ticket, this is the novel for you. The format of this book sounds both intriguing and off-putting, but I like that the book addresses ethics and worldly responsibilities. Hmm. It takes a while to get into the email format, but ultimately I liked it. Nice review, and your comment about Jess not being afraid of the NSA made me laugh! Thanks for the review! The format of this book sounds so interesting and unique because I would think an email doesn’t necessarily mean you are completely in the character’s head.